GAG Presents - Drag Them Back! Is today’s music not floating your boat? Finding yourself in need of some turn back time nostalgia? Or are you living for those good as gold musical classics that just time warp you back to the good old days? The welcome to Drag Them Back! A jump back in time homage to many of the centuries greatest eras of music. Each of our amazing performances will personify an era from the 50s all the way to today. 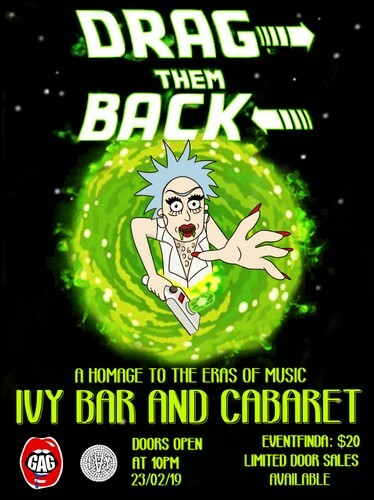 So come on down to Ivy and prepare to blast from the past through the top of the bops from the 50s, 60s, 70s, 80s, 90s and today. Restaurants to book near GAG Presents - Drag Them Back!